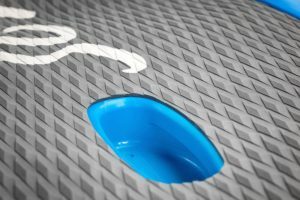 As the stand up paddleboarding scene continues to grow, and with our own Samos paddleboard now launched, you may be thinking of giving the sport a go! 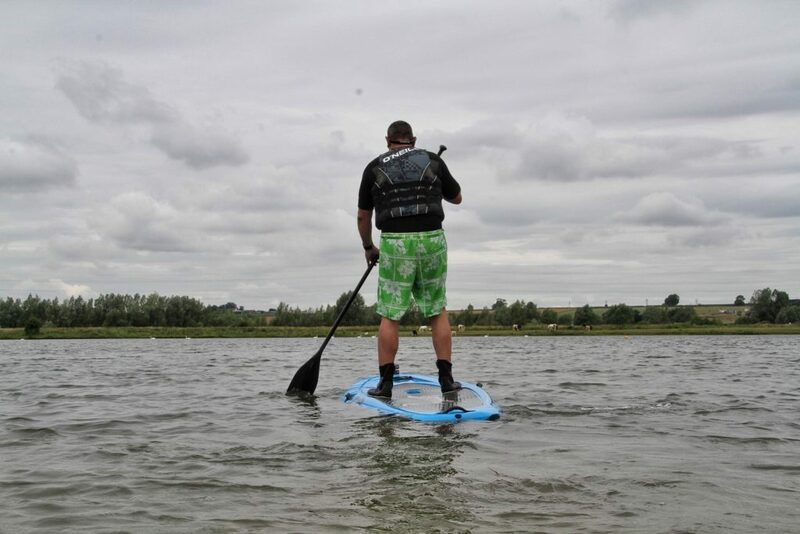 Stand up paddleboarding is certainly trending at the moment and offers a fresh perspective on the water for paddlers already involved in kayaking and surfing. We’ve come up with some hints and tips for new paddlers, which we’ve broken down into 4 sections, so read on! 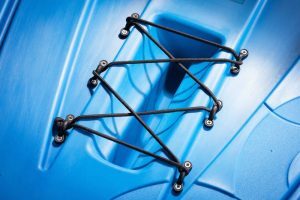 While the saying “a good workman doesn’t blame his tools” may exist, it’s important to have the right selection of equipment and know how to use it for successful paddling. 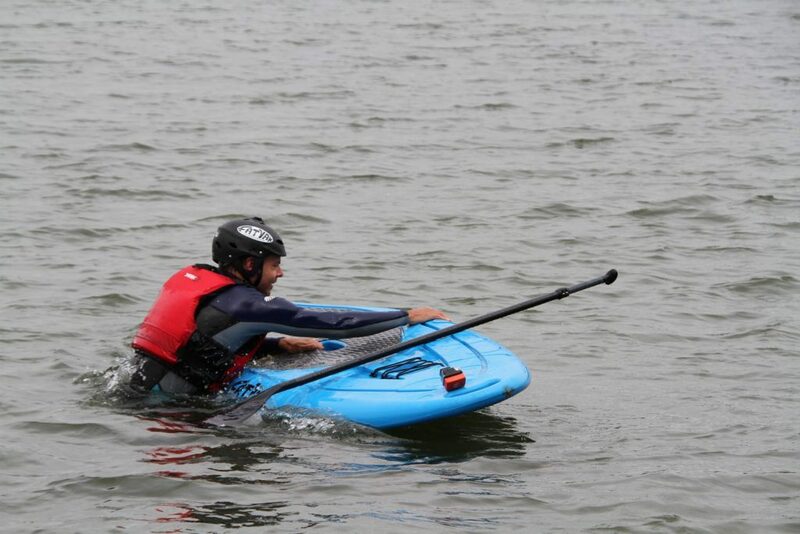 A leash is important to have on a SUP board, for the safety of yourself and others – as well as being convenient if you lose hold of your board. Additionally, make sure you take care of your paddleboard. While our new Samos is rotationally moulded and designed to last, it doesn’t hurt to carry out some regular maintenance – checking for any deep scratches or other issues to ensure a lifetime of paddling. Stand in the centre of the board, with your feet shoulder width apart. Hold the paddle with the top hand firm, and the lower hand looser. Stand upright, but with your core engaged and your knees slightly bent. This will help keep you a bit more stable. When it doesn’t go so well however, you’ll want to know how to fall off the board properly, avoiding injury being the main goal. When you come off, try to fall away from your board – as far as possible, as large boards could potentially injure you in a collision. Not losing your board in this situation is another great reason why we would highly recommend a leash! Once you have a stable stance on the board, you can start propelling yourself forward. Place the paddle right into the water at the front of the board (a little out from the board itself) and pull the paddle through the water, finishing no further than your feet. The most important tip is to keep the paddle as vertical as possible. 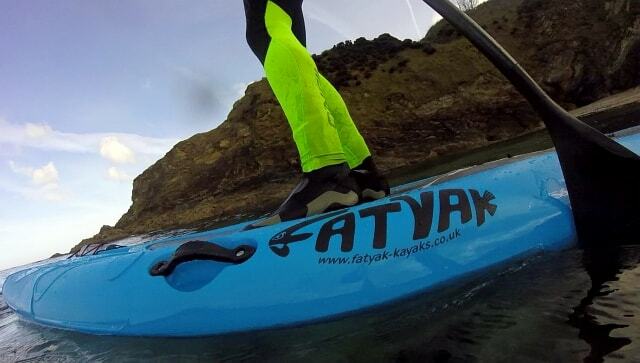 For a more in-depth read on how to paddle your SUP, click here. 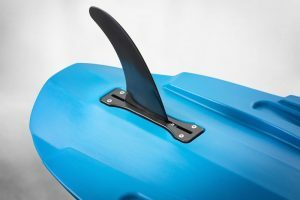 Lastly, a few key pointers to mention about the environment you’ll be paddling in can help you to have a fun, safe, and useful session on your board. 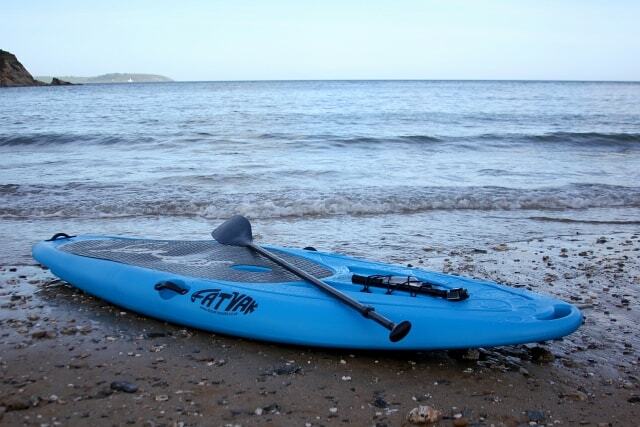 Try to stay out of the way of other paddlers, any debris or coastlines that may cause you issues. Avoid rocky areas that might damage the board. To begin with we recommend lakes as a great place to start off. Be smart and ride waves in the right conditions for your level, ensuring you understand the flow of the water around you. In addition to this, keep an eye on the wind and what it’s doing. If you get caught on the wind, or you end up in difficulties, lie face down on your board, using your arms to paddle (like you would on a surfboard). 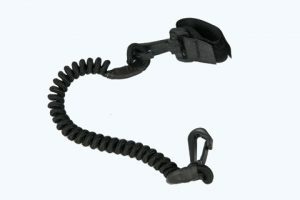 This will prevent the wind from taking you away, and will give you full control of your board.